mõjusfäär Archives - Upstate Berserkers vs "Gray Cardinals".... | Upstate Berserkers vs "Gray Cardinals"…. May 29th, 2014 | Posted in Out of Bounds !, Poliitika. Russia Examines Its Options for Responding to Ukraine. March 19th, 2014 | Posted in Out of Bounds !, Poliitika. The fall of the Ukrainian government and its replacement with one that appears to be oriented toward the West represents a major defeat for the Russian Federation. After the collapse of the Soviet Union, Russia accepted the reality that the former Eastern European satellite states would be absorbed into the Western economic and political systems. Moscow claims to have been assured that former Soviet republics would be left as a neutral buffer zone and not absorbed. Washington and others have disputed that this was promised. In any case, it was rendered meaningless when the Baltic states were admitted to NATO and the European Union. The result was that NATO, which had been almost 1,600 kilometers (1,000 miles) from St. Petersburg, was now less than approximately 160 kilometers away. This left Belarus and Ukraine as buffers. Ukraine is about 480 kilometers from Moscow at its closest point. Were Belarus and Ukraine both admitted to NATO, the city of Smolensk, which had been deep inside the Soviet Union, would have become a border town. Russia has historically protected itself with its depth. It moved its borders as far west as possible, and that depth deterred adventurers — or, as it did with Hitler and Napoleon, destroyed them. The loss of Ukraine as a buffer to the West leaves Russia without that depth and hostage to the intentions and capabilities of Europe and the United States. There are those in the West who dismiss Russia’s fears as archaic. No one wishes to invade Russia, and no one can invade Russia. Such views appear sophisticated but are in fact simplistic. Intent means relatively little in terms of assessing threats. They can change very fast. So too can capabilities. The American performance in World War I and the German performance in the 1930s show how quickly threats and capabilities shift. In 1932, Germany was a shambles economically and militarily. By 1938, it was the dominant economic and military power on the European Peninsula. In 1941, it was at the gates of Moscow. In 1916, U.S. President Woodrow Wilson ran a sincere anti-war campaign in a country with hardly any army. In 1917, he deployed more than a million American soldiers to Europe. Russia’s viewpoint is appropriately pessimistic. If Russia loses Belarus or Ukraine, it loses its strategic depth, which accounts for much of its ability to defend the Russian heartland. If the intention of the West is not hostile, then why is it so eager to see the regime in Ukraine transformed? It may be a profound love of liberal democracy, but from Moscow’s perspective, Russia must assume more sinister motives. Quite apart from the question of invasion, which is obviously a distant one, Russia is concerned about the consequences of Ukraine’s joining the West and the potential for contagion in parts of Russia itself. During the 1990s, there were several secessionist movements in Russia. The Chechens became violent, and the rest of their secession story is well known. But there also was talk of secession in Karelia, in Russia’s northwest, and in the Pacific Maritime region. What was conceivable under Boris Yeltsin was made inconceivable under Vladimir Putin. The strategy Putin adopted was to increase Russia’s strength moderately but systematically, to make that modest increase appear disproportionately large. Russia could not afford to remain on the defensive; the forces around it were too powerful. Putin had to magnify Russia’s strength, and he did. Using energy exports, the weakness of Europe and the United States’ distraction in the Middle East, he created a sense of growing Russian power. Putin ended talk of secession in the Russian Federation. He worked to create regimes in Belarus and Ukraine that retained a great deal of domestic autonomy but operated within a foreign policy framework acceptable to Russia. Moscow went further, projecting its power into the Middle East and, in the Syrian civil war, appearing to force the United States to back out of its strategy. It is not clear what happened in Kiev. There were of course many organizations funded by American and European money that were committed to a reform government. It is irrelevant whether, as the Russians charge, these organizations planned and fomented the uprising against former President Viktor Yanukovich’s regime or whether that uprising was part of a more powerful indigenous movement that drew these groups along. The fact was that Yanukovich refused to sign an agreement moving Ukraine closer to the European Union, the demonstrations took place, there was violence, and an openly pro-Western Ukrainian government was put in place. The Russians cannot simply allow this to stand. Not only does it create a new geopolitical reality, but in the longer term it also gives the appearance inside Russia that Putin is weaker than he seems and opens the door to instability and even fragmentation. Therefore, the Russians must respond. The issue is how. The first step was simply making official what has been a reality. Crimea is within the Russian sphere of influence, and the military force Moscow has based in Crimea under treaties could assert control whenever it wished. That Sevastopol is a critical Russian naval base for operations in the Black and Mediterranean seas was not the key. A treaty protected that. But intervention in Crimea was a low-risk, low-cost action that would halt the appearance that Russia was hemorrhaging power. It made Russia appear as a bully in the West and a victor at home. That was precisely the image it wanted to project to compensate for its defeat. Several options are now available to Russia. First, it can do nothing. The government in Kiev is highly fractious, and given the pro-Russian factions’ hostility toward moving closer to the West, the probability of paralysis is high. In due course, Russian influence, money and covert activities can recreate the prior neutrality in Ukraine in the form of a stalemate. This was the game Russia played after the 2004 Orange Revolution. The problem with this strategy is that it requires patience at a time when the Russian government must demonstrate its power to its citizens and the world. Moreover, if Crimea does leave Ukraine, it will weaken the pro-Russian bloc in Kiev and remove a large number of ethnic Tartars from Ukraine’s political morass. It could be enough of a loss to allow the pro-Russian bloc to lose what electoral power it previously had (Yanukovich beat Yulia Timoshenko by fewer than a million votes in 2010). Thus, by supporting Crimea’s independence — and raising the specter of an aggressive Russia that could bind the other anti-Russian factions together — Putin could be helping to ensure that a pro-Western Ukraine persists. Second, it can invade mainland Ukraine. There are three problems with this. First, Ukraine is a large area to seize and pacify. Russia does not need an insurgency on its border, and it cannot guarantee that it wouldn’t get one, especially since a significant portion of the population in western Ukraine is pro-West. Second, in order for an invasion of Ukraine to be geopolitically significant, all of Ukraine east of the Dnieper River must be taken. Otherwise, the frontier with Russia remains open, and there would be no anchor to the Russian position. However, this would bring Russian forces to the bank opposite Kiev and create a direct border with NATO and EU members. Finally, if the Russians wish to pursue the first option, pulling eastern Ukrainian voters out of the Ukrainian electoral process would increase the likelihood of an effective anti-Russian government. Third, it can act along its periphery. In 2008, Russia announced its power with authority by invading Georgia. This changed calculations in Kiev and other capitals in the region by reminding them of two realities. First, Russian power is near. Second, the Europeans have no power, and the Americans are far away. There are three major points where the Russians could apply pressure: the Caucasus countries, Moldova and the Baltics. By using large Russian minority populations within NATO countries, the Russians might be able to create unrest there, driving home the limits of NATO’s power. Fourth, it can offer incentives in Eastern and Central Europe. Eastern and Central European countries, from Poland to Bulgaria, are increasingly aware that they may have to hedge their bets on Europe and the West. The European economic crisis now affects politico-military relations. The sheer fragmentation of European nations makes a coherent response beyond proclamations impossible. Massive cuts in military spending remove most military options. The Central Europeans feel economically and strategically uneasy, particularly as the European crisis is making the European Union’s largest political powers focus on the problems of the eurozone, of which most of these countries are not members. The Russians have been conducting what we call commercial imperialism, particularly south of Poland, entering into business dealings that have increased their influence and solved some economic problems. The Russians have sufficient financial reserves to neutralize Central European countries. Last, it can bring pressure to bear on the United States by creating problems in critical areas. An obvious place is Iran. In recent weeks, the Russians have offered to build two new, non-military reactors for the Iranians. Quietly providing technological support for military nuclear programs could cause the Iranians to end negotiations with the United States and would certainly be detected by U.S. intelligence. The United States has invested a great deal of effort and political capital in its relations with the Iranians. The Russians are in a position to damage them, especially as the Iranians are looking for leverage in their talks with Washington. In more extreme and unlikely examples, the Russians might offer help to Venezuela’s weakening regime. There are places that Russia can hurt the United States, and it is now in a position where it will take risks — as with Iran’s nuclear program — that it would not have taken before. The European and American strategy to control the Russians has been to threaten sanctions. The problem is that Russia is the world’s eighth-largest economy, and its finances are entangled with the West’s, as is its economy. For any sanctions the West would impose, the Russians have a counter. There are many Western firms that have made large investments in Russia and have large Russian bank accounts and massive amounts of equipment in the country. The Russians can also cut off natural gas and oil shipments. This would of course hurt Russia financially, but the impact on Europe — and global oil markets — would be more sudden and difficult to manage. Some have argued that U.S. energy or European shale could solve the problem. The Russian advantage is that any such solution is years away, and Europe would not have years to wait for the cavalry to arrive. Some symbolic sanctions coupled with symbolic counter-sanctions are possible, but bringing the Russian economy to its knees without massive collateral damage would be hard. The most likely strategy Russia will follow is a combination of all of the above: pressure on mainland Ukraine with some limited incursions; working to create unrest in the Baltics, where large Russian-speaking minorities live, and in the Caucasus and Moldova; and pursuing a strategy to prevent Eastern Europe from coalescing into a single entity. Simultaneously, Russia is likely to intervene in areas that are sensitive to the United States while allowing the Ukrainian government to be undermined by its natural divisions. In all of these things there are two questions. The first is what German foreign policy is going to be. Berlin supported the uprising in Ukraine and has on occasion opposed the Russian response, but it is not in a position to do anything more concrete. So far, it has tried to straddle the divides, particularly between Russia and the European Union, wanting to be at one with all. The West has now posed a problem to the Russians that Moscow must respond to visibly. If Germany effectively ignores Russia, Berlin will face two problems. The first will be that the Eastern Europeans, particularly the Poles, will lose massive confidence in Germany as a NATO ally, particularly if there are problems in the Baltics. Second, it will have to face the extraordinary foreign policy divide in Europe. Those countries close to the buffers are extremely uneasy. Those farther away — Spain, for instance — are far calmer. Europe is not united, and Germany needs a united Europe. The shape of Europe will be determined in part by Germany’s response. The second question is that of the United States. I have spoken of the strategy of balance of power. A balance of power strategy calls for calibration of involvement, not disengagement. Having chosen to support the creation of an anti-Russian regime in Ukraine, the United States now faces consequences and decisions. The issue is not deployments of major forces but providing the Central Europeans from Poland to Romania with the technology and materiel to discourage Russia from dangerous adventures — and to convince their publics that they are not alone. The paradox is this: As the sphere of Western influence has moved to the east along Russia’s southern frontier, the actual line of demarcation has moved westward. Whatever happens within the buffer states, this line is critical for U.S. strategy because it maintains the European balance of power. We might call this soft containment. It is far-fetched to think that the Russians would move beyond commercial activity in this region. It is equally far-fetched that EU or NATO expansion into Ukraine would threaten Russian national security. Yet history is filled with far-fetched occurrences that in retrospect are obvious. The Russians have less room to maneuver but everything at stake. They might therefore take risks that others, not feeling the pressure the Russians feel, would avoid. Again, it is a question of planning for the worst and hoping for the best. For the United States, creating a regional balance of power is critical. Ideally, the Germans would join the project, but Germany is closer to Russia, and the plan involves risks Berlin will likely want to avoid. There is a grouping in the region called the Visegrad battlegroup. 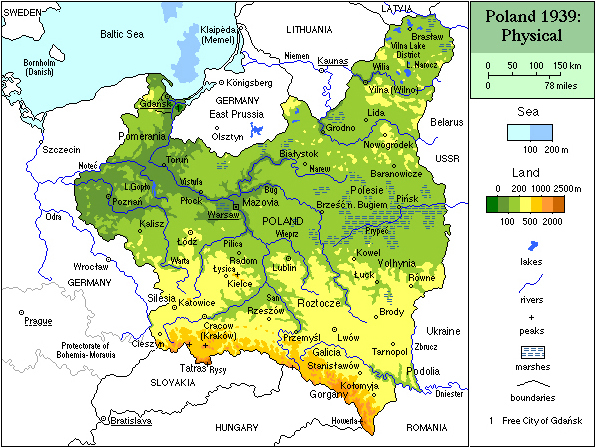 It is within the framework of NATO and consists of Poland, the Czech Republic, Slovakia and Hungary. It is now more a concept than a military. However, with U.S. commitment and the inclusion of Romania, it could become a low-cost (to the United States) balance to a Russia suddenly feeling insecure and therefore unpredictable. This, and countering Russian commercial imperialism with a U.S. alternative at a time when Europe is hardly in a position to sustain the economies in these countries, would be logical. This has been the U.S. strategy since 1939: maximum military and economic aid with minimal military involvement. The Cold War ended far better than the wars the Americans became directly involved in. The Cold War in Europe never turned hot. Logic has it that at some point the United States will adopt this strategy. But of course, in the meantime, we wait for Russia’s next move, or should none come, a very different Russia. Share Ukraine’s Increasing Polarization and the Western Challenge. March 11th, 2014 | Posted in Out of Bounds !, Poliitika. Just days before the Ukrainian crisis broke out, I took an overnight train to Kiev from Sevastopol in Crimea. Three mechanics in their 30s on their way to jobs in Estonia shared my compartment. All ethnic Russians born and raised in Sevastopol, they have made the trip to the Baltic states for the past eight years for seasonal work at Baltic Sea shipyards. Our ride together, accompanied by obligatory rounds of vodka, presented the opportunity for an in-depth discussion of Ukraine’s political crisis. The ensuing conversation was perhaps more enlightening than talks of similar length with Ukrainian political, economic or security officials. My fellow passengers viewed the events at Independence Square in an overwhelmingly negative light. They considered the protesters camped out in Kiev’s central square terrorists, completely organized and financed by the United States and the European Union. They did not see the protesters as their fellow countrymen, and they supported then-President Viktor Yanukovich’s use of the Berkut security forces to crack down on them. 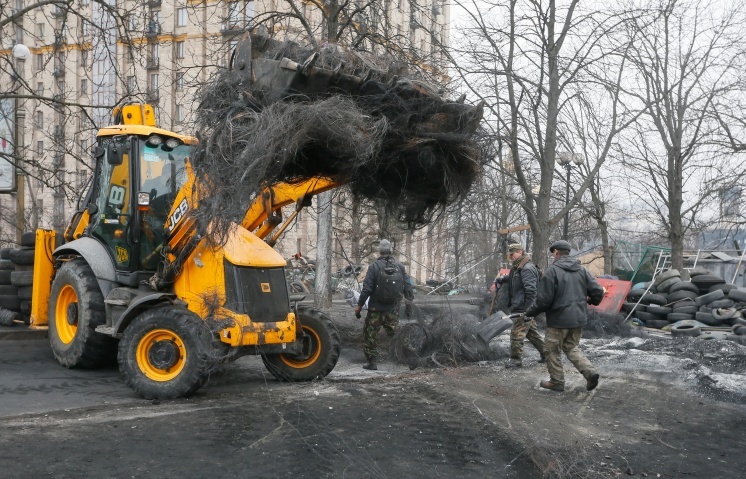 In fact, they were shocked by the Berkut’s restraint, saying if it had been up to them, the protests would have been “cleaned up” from the outset. They added that while they usually looked forward to stopping over in Kiev during the long journey to the Baltics, this time they were ashamed of what was happening there and didn’t even want to set foot in the city. They also predicted that the situation in Ukraine would worsen before it improved. A few days later, the protests in Independence Square in fact reached a crescendo of violence. The Berkut closed in on the demonstrators, and subsequent clashes between protesters and security forces throughout the week left dozens dead and hundreds injured. This spawned a sequence of events that led to the overthrow of Yanukovich, the formation of a new Ukrainian government not recognized by Moscow and the subsequent Russian military intervention in Crimea. While the speed of these events astonished many foreign (especially Western) observers, to the men I met on the train, it was all but expected. After all, the crisis didn’t emerge from a vacuum. Ukraine was a polarized country well before the EuroMaidan movement took shape. I have always been struck by how traveling to different parts of Ukraine feels like visiting different countries. Every country has its regional differences, to be sure. But Ukraine stands apart in this regard. 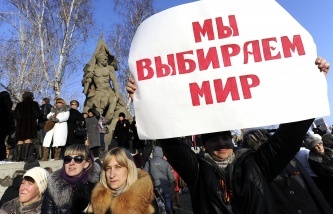 Lviv and Donetsk lie on the extreme ends of the spectrum, but they are hardly alone. Views are even more polarized on the Crimean Peninsula, where ethnic Russians make up the majority and which soon could cease to be part of Ukraine. Such internal political and cultural divisions would be difficult to overcome under normal circumstances, but Ukraine’s geographic and geopolitical position magnifies them exponentially. Ukraine is the quintessential borderland country, eternally trapped between Europe to the west and Russia to the east. Given its strategic location in the middle of the Eurasian heartland, the country has constantly been — and will constantly be — an arena in which the West and Russia duel for influence. Competition over Ukraine has had two primary effects on the country. The first is to further polarize Ukraine, splitting foreign policy preferences alongside existing cultural divisions. While many in western Ukraine seek closer ties with Europe, many in eastern Ukraine seek closer ties with Russia. While there are those who would avoid foreign entanglements altogether, both the European Union and Russia have made clear that neutrality is not an option. Outside competition in Ukraine has created wild and often destabilizing political swings, especially during the country’s post-Soviet independence. The current government enjoys Western support, but Moscow and many in eastern and southern Ukraine deny its legitimacy, citing the manner in which it took power. This sets a dangerous precedent because it challenges the sitting government’s and any future government’s ability to claim any semblance of nationwide legitimacy. It is clear that Ukraine cannot continue to function for long in its current form. A strong leader in such a polarized society will face major unrest, as Yanukovich’s ouster shows. The lack of a national consensus will paralyze the government and prevent officials from forming coherent foreign policy, since any government that strikes a major deal with either Russia or the European Union will find it difficult to rightfully claim it speaks for the majority of the country. Now that Russia has used military moves in Crimea to show it will not let Ukraine go without a fight, the stage has been set for very difficult political negotiations over Ukraine’s future. Georgia and Moldova, two former Soviet countries that have sought stronger ties with the West, have accelerated their attempts to further integrate with the European Union — and in Georgia’s case, with NATO. On the other hand, countries such as Belarus and Armenia have sought to strengthen their economic and security ties with Russia. Countries already strongly integrated with the West like the Baltics are glad to see Western powers stand up to Russia, but meanwhile they know that they could be the next in line in the struggle between Russia and the West. Russia could hit them economically, and Moscow could also offer what it calls protection to their sizable Russian minorities as it did in Crimea. Russia already has hinted at this in discussions to extend Russian citizenship to ethnic Russians and Russian speakers throughout the former Soviet Union. The major question moving forward is how committed Russia and the West are to backing and reinforcing their positions in these rival blocs. 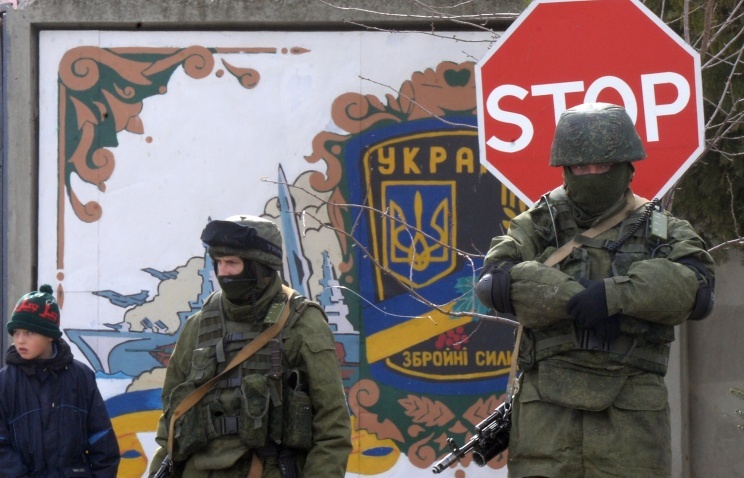 Russia has made clear that it is willing to act militarily to defend its interests in Ukraine. Russia showed the same level of dedication to preventing Georgia from turning to NATO in 2008. Moscow has made no secret that it is willing to use a mixture of economic pressure, energy manipulation and, if need be, military force to prevent the countries on its periphery from leaving the Russian orbit. In the meantime, Russia will seek to intensify integration efforts in its own blocs, including the Customs Union on the economic side and the Collective Security Treaty Organization on the military side. So the big question is what the West intends. On several occasions, the European Union and United States have proved that they can play a major role in shaping events on the ground in Ukraine. Obtaining EU membership is a stated goal of the governments in Moldova and Georgia, and a significant number of people in Ukraine also support EU membership. But since it has yet to offer sufficient aid or actual membership, the European Union has not demonstrated as serious a commitment to the borderland countries as Russia has. It has refrained from doing so for several reasons, including its own financial troubles and political divisions and its dependence on energy and trade with Russia. While the European Union may yet show stronger resolve as a result of the current Ukrainian crisis, a major shift in the bloc’s approach is unlikely — at least not on its own. As the Ukraine crisis moves into the diplomatic realm, a major test of U.S. willingness and ability to truly stand up to Russia is emerging. Certainly, Washington has been quite vocal during the current Ukrainian crisis and has shown signs of getting further involved elsewhere in the region, such as in Poland and the Baltic states. But concrete action from the United States with sufficient backing from the Europeans will be the true test of how committed the West is to standing up to Moscow. Maneuvering around Ukraine’s deep divisions and Russian countermoves will be no easy task. But nothing short of concerted efforts by a united Western front will suffice to pull Ukraine and the rest of the borderlands toward the West.